The cabins can comfortably accommodate up to four people (8 maximum). Cooking can be done on your own camp stove, the provided gas grill, or on fire grill outside. Plan to bring your own equipment. Including a camp stove, dishes, cooking utensils, toilet paper, lanterns, containers for carrying water, sleeping bags and pillows. The cabin has two bunk beds with 4 mattresses. There is a picnic table near the outdoor fire pit. The cabins has a wall mounted propane heater to keep you warm on cool nights. Visit www.grandislandcabins.com for more information and reservations. Currently there is 21 designated campsites on Grand Island. This includes 19 individual campsites and two group sites with Murray Bay and Juniper Flats group sites. The other information that needs to updated in that statement is that, ***Reservations are required on Grand Island between Memorial Day and Columbus Day with the exception of Cobble Cove, Flat Rock, and Muskrat Point which will remain first come, first serve. Please plan ahead and make your campsite reservations now at www.recreation.gov or call 877.444.6777. 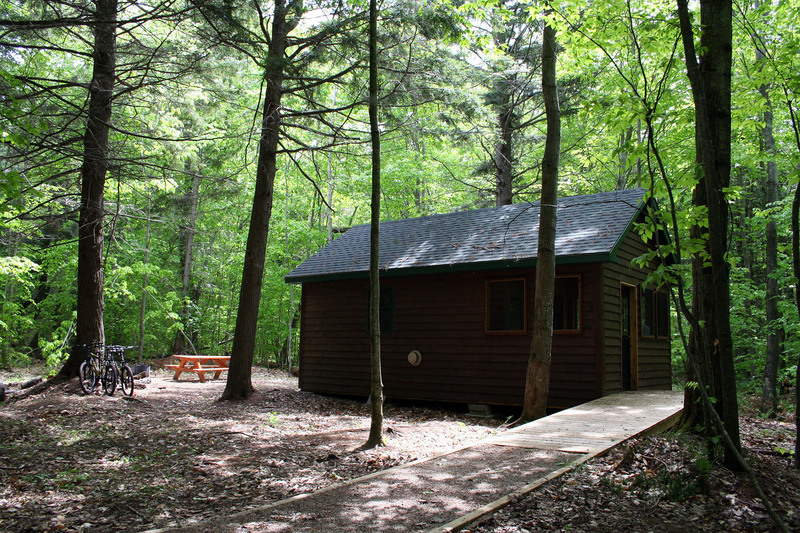 The Bermuda and Loon Call campsites can accommodate up to 6 people, with a maximum of 2 tents per site. The group site can accommodate between 7 and 25 people. A vault toilet is provided near the Day Use Area. The Murrary Bay sites can be accessed either by the island’s trail system or by water. A day use picnic area is also located at Murray; camping is not allowed at the day use site. There are 4 designated sites that can accommodate up to 4 people each, with a maximum of 2 tents per site. 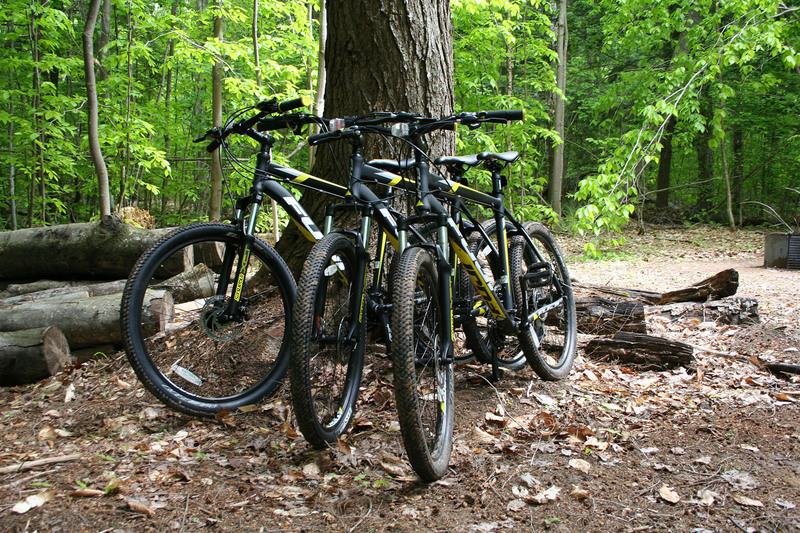 The Trout Bay sites can be accessed either by the trail or by water. A day use area and vault toilet are located on the east and west end of Trout Bay Beach. This area is for group camping only. The group site can accommodate between 7 and 25 people. Access to the Juniper Flats is available at the beach access/overlook at Waterfall Beach, approximately 1,000 feet north of Juniper Flats or via the trail system. 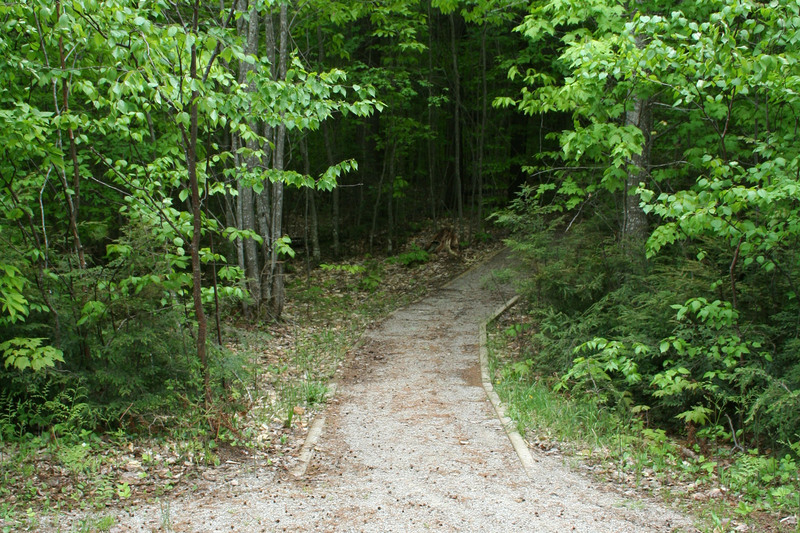 There are 9 other designated sites located on the rim trail and the Thumb of the island. Refer to the map of Grand Island. Random camping is allowed on Grand Island. Permits are not required at this time. Campfires are not allowed at random campsites, and users must focus on ‘Leave No Trace’ camping techniques. Random sites may be selected by the user, within certain guidelines. A maximum of 6 people and 2 tents are allowed at each random campsite. Food packs must be hung. Randomly chosen sites must NOT be on the Tombolo (see map). There are pit toilets and water spigots located at various sites on the island during the summer. Beech Bark Disease has spread throughout the National Forest, resulting in many dead and dying beech trees. Be aware of these trees and the potential for falling branches and trees. Campers should be alert for weakened trees, some have large dead limbs or are completely dead. Be alert, especially in windy conditions. Looks up, choose your campsites carefully. Firewood should be gathered ONLY from down material, never cut standing trees, dead or alive. Due to the sensitive ecosystem, firewood gathering is prohibited around Trout Bay sites. Firewood is provided at Trout Bay, Murray Bay, near Hardwood and Juniper Flats sites. Avoid peeling bark, carving into trees, building ‘furniture’ or leaving other signs or your visit.